To me, this is how a thriller should be! A greatly entertaining film with solid actors and a well-paced edit. A movie which does not ignore the power of a good shot, and a script which isn’t afraid to let its veteran actors play with the words. 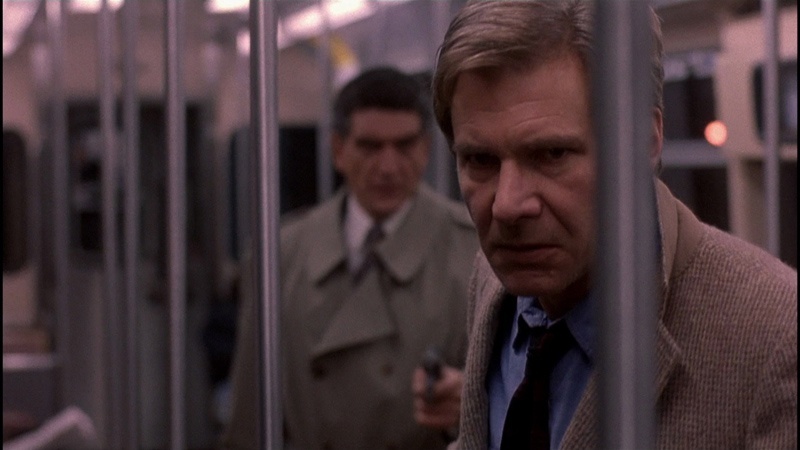 Tommy Lee Jones won THE FUGITIVE’s only Oscar, though it was nominated for seven including best picture. His win is a reflection of the presence his character has. He plays Gerard with a consistency which allows this film to work despite not having a particularly strong villain. THE FUGITIVE is about the cat-and-mouse game, where a weaker actor in the Gerard role would have made it just another revenge flick. The end-point of the film, the Macguffin which Harrison Ford ultimately discovers, would hinder a less character-driven film because it is weak, and there is a bit of a Hollywood shrug at realism. However, because we are so invested in the characters at that point, the movie gets away with its swiss-cheese plot point. I really dig the interplay between Gerard and his team of Marshalls. Much of their dialogue was improvised, and it works very well. Particularly the relationship and chemistry between Jones and Joe Pantoliano. Those two have a bond that feels completely organic. The team brings some humor and some lightness to what is an otherwise darkly themed film. ~ by johnlink00 on July 30, 2010.